All Weather floor mats are perfect for keeping your carpets and floors clean. Supertech floor mats will not disappoint. 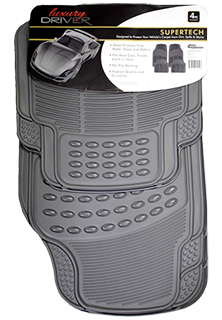 You will want to get these to help keep your cars floors clean. We have the lowest prices in the nation. GUARANTEED!